As an elite athlete, training for an Olympic Games is a lifelong pursuit. It’s akin to the astronaut preparing for their first venture into space, or an entrepreneur launching a first product to market. It doesn’t happen quickly and it requires a huge amount of discipline and commitment. I started playing hockey aged 3 or 4. An enthusiastic PE teacher and two older brothers helping to pave the way for me to be successful. Every Saturday morning I would spend hours dribbling a ball along the sidelines of windswept astroturf up and down the country as my parents watched the eldest of my two siblings. I think it’s safe to assume that I managed the all important 10,000 hours of practice before my 10th birthday. My brothers set a sporting standard for me to aspire to and there is no question in my mind the role they both played in my future hockey achievements. Junior club hockey, representative hockey, both regionally and nationally, followed in the years between 12 and 18, helping to shape me not only as a hockey player but also as a person. My journey to two consecutive Olympics, in 2012 and 2016, however, only really started in November 2009 when I made my tournament debut for the senior England team in Melbourne, Australia, aged 20. Even at this stage, if someone had turned to me and said in 7 years time you will have amassed almost 200 caps for England and Great Britain, won medals in European Championships and Commonwealth Games, and become a double Olympian, I probably would have told them where to go. 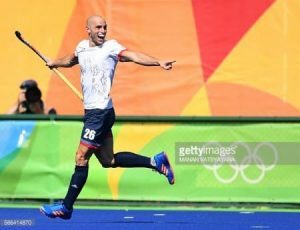 An injection of UK Sport funding aimed at supporting hockey’s pursuit of Olympic medals coincided with my inclusion in the mens squad and meant that I was able to train more and more as a full time athlete. 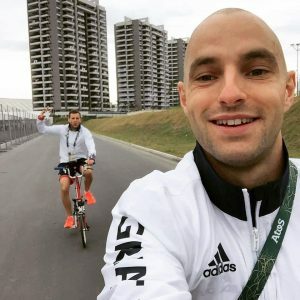 A centralised training programme of sorts quickly followed and before I knew it, I was juggling the life of a full time student at the University of Nottingham with that of an aspiring Olympian. The early days were hard going. 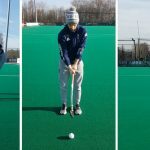 Cramming a full weeks training programme into 3 days to allow guys to work or study alongside their hockey commitments was arduous. Let’s just say I became very familiar with the M40 and M1 in that first year. 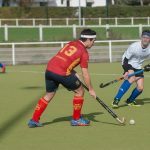 But at this stage of our Olympic Cycle, their wasn’t enough money available to focus solely on playing hockey, and most relied on the support of their families or part time work to sustain their involvement in the programme. Monday Morning gym session at the English Institute of Sport gym at Loughborough University with 4 or 5 of the other Midlands based players. Approximately 1.5-2hrs in duration. Tuesday Leave Nottingham in order to arrive at our Bisham Abbey central training base in time for an 11am hockey session. 2 hours in duration and normally very intense.Afternoon of team meetings. Second hockey session of the day. 2 hours in duration and normally very intense. For obvious reasons, this day of the week quickly became known within the player group as ’Tough Tuesdays’. Drive back up to Nottingham Tuesday night. Thursday Drive back down to our training base for another beasting over two hockey sessions. One of which would normally include squad games where we would try to replicate international matches as closely as possible with the players we had available in the squad. Stay overnight at Bisham Abbey. Friday Intense 2 hour hockey session which normally finished with extra running conditioning training, Drive back up to Nottingham. 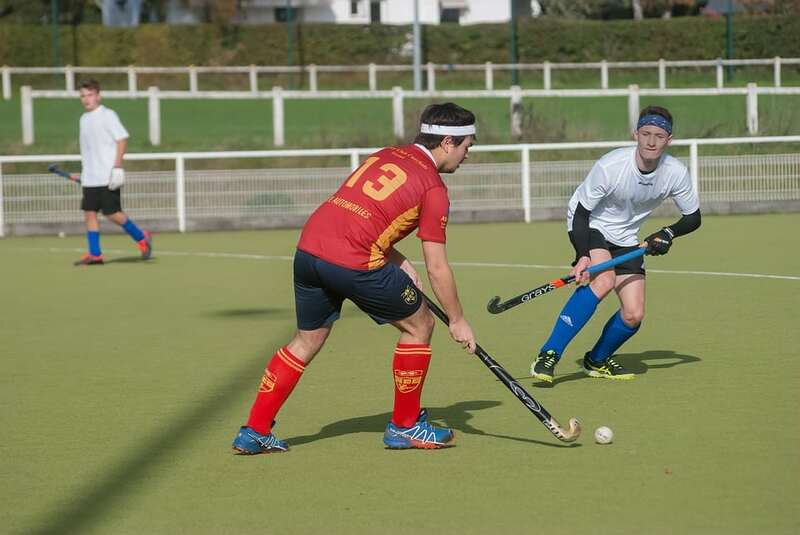 Sunday Play a club hockey match. As you can see, we worked pretty tirelessly during the early stages of our centralised training experience. A little unsure of how best to use our time and desperate to put the time we did have to good use, we probably didn’t get the balance quite right. It’s true to say that I spent the vast majority of that period of my life permanently exhausted. As the London Olympic Games neared, we started to make use of our status as the host nation. In theory that meant the opportunity to train on the competition pitch well in advance of every other nation. In practice, it meant travelling to and from Stratford; tedious security checks to get on and off the Olympic Park site; and packed lunches in a portacabin between double sessions. Having said that, it was a special privilege to watch the multitude of Olympic venues take shape around you in the build up to one of the most impressive Games in recent history. My first taste of the Olympics came and went in a flash, but was perhaps one of the most special experiences of my life. Only very few athletes have the opportunity to compete at a home Games. 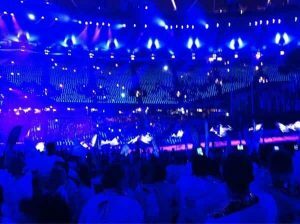 I will never forget the moment I marched from the Olympic Village to the Olympic Stadium during the Opening Ceremony, walkways lined with thousands of people screaming in support. We finished the hockey competition in an agonising 4th place, losing out 3-1 in our bronze medal playoff vs Australia. It was nonetheless the men’s best finish since winning gold in 1988. In combination with a bronze medal for the women’s team, it meant that UK sport funding for hockey for the proceeding 4 years until the Rio Olympic Games was not only secured but increased. More money meant a more professional and better structured training programme post London. From April 2013, centrally contracted players were able to focus solely on hockey, with enough financial support from UK sport to commit to full time training. As you can see, without the need for players to juggle work alongside their training commitments, we were able to spread our training load across a 5 day week as opposed to just 3 days. This meant we could train more sensibly whilst maintaining the volume and intensity of training that existed even before the London Olympics. With time pressure becoming less of an influence in our training, it meant that those coaches and practitioners in charge of planning and implementing our training could be a little more creative. We were able to separate the calendar year into periods of differing focus, whether that be to get fitter or stronger or taper in the build up to competition. Six weeks in January and February each year, for instance, became a physical development period. With pitches normally unplayable because of freezing weather conditions, we spent this time getting as physically fit and strong as we possibly could. 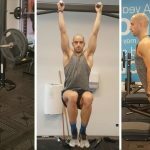 Practically, this meant squatting, power cleaning and deadlifting as much weight as we could in the gym, and running up hills and on treadmills until we were sick. Whilst that all sounds, at best, unenjoyable, and at worst, torturous, the shared pain had a habit of bringing the group closer together. The knowledge that the guy next to you was working as hard as he could for the common goal was motivation enough to do the same. Besides, there is nothing more effective at generating camaraderie than a shared, fatigue induced, hatred of the man forcing you to run up muddy hills when you can barely stand! The life of an elite athlete is often riddled with injuries. I have been fairly lucky in this regard throughout my career (touch wood). I think the most time I’ve spent on the sidelines in one go, unable to play, is about 11 weeks. On that occasion, two discs in my lower back were impinging the nerve and I could barely tie my own shoelaces. Other than that, problematic hamstrings, repeated ankle ligament damage and the odd facial injury has kept me off the pitch intermittently over the last 4 or 5 years. 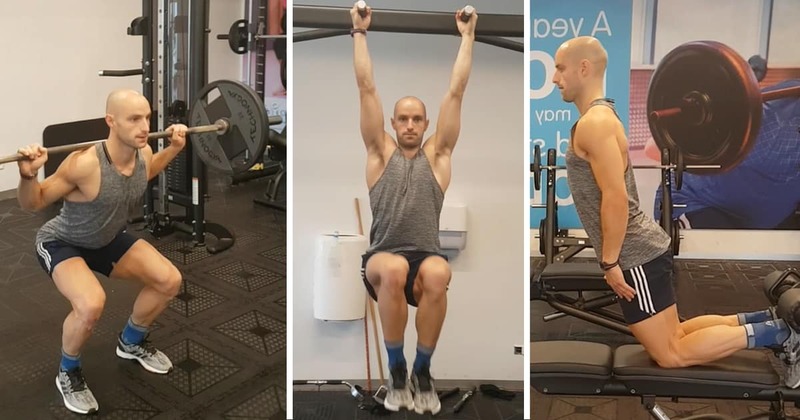 As you get older, it becomes more and more important for you to spend the time looking after your body so that you can continue to cope with the training volume and intensity. I would spend, on average, at least an hour a day stretching, foam rolling and completing rehab exercises during a heavy training phase. Something most people don’t realise when they see a team competing at an Olympic Games on the television is that they only see the lucky ones. There are roughly the same number, who had a realistic chance of competing, sat at home on their sofas wondering where it all went wrong. Selection, and more importantly, non selection is a huge part of the lives of elite athletes. All, except the lucky few, will experience it at some point during their sporting careers. It is an issue which, particularly during the build up to an Olympic Games, can make the atmosphere in a squad extremely tense. Day after day of trying to prepare yourself and the team to beat the best hockey nations in the world at the same time as competing against your teammates and friends for a place on the plane, can take its toll. I have been fortunate enough to be selected for both Olympics I have spent a lifetime training for. Spare a thought for those who haven’t! In the build up to London 2012, I knew I had given myself a good shot of being selected but I certainly didn’t expect it. This is probably the best place to be mentally when receiving that kind of news. Rio, however, was a whole different kettle of fish. Despite having been a continuous presence in the team for the preceding 4 years and one of the more experienced players, I actually felt less comfortable than I had before London. I expected to be selected and I wasn’t able to reconcile myself with the possibility that it might not happen. So, when the good news came, this time around, it was met, not with overwhelming joy or excitement, but pure relief. It’s safe to say that the build up to my second Olympics was a little different to the first. 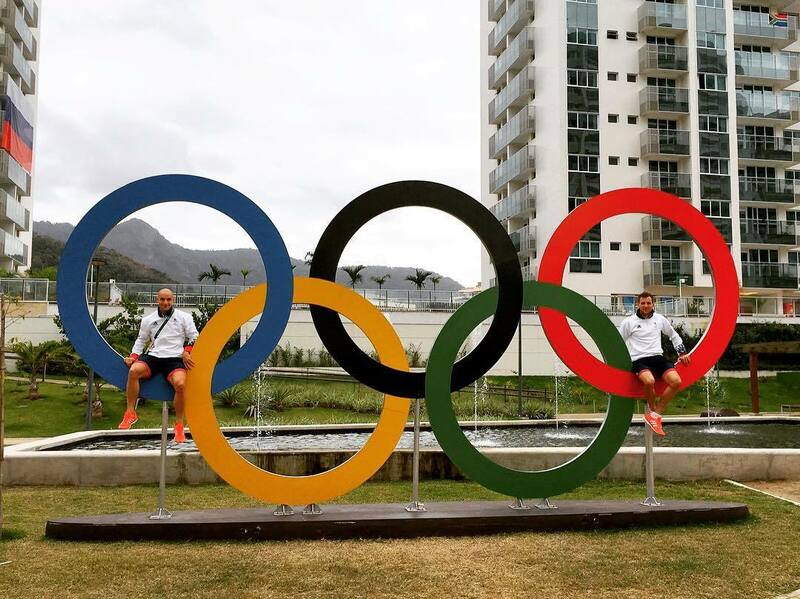 In London, we moved into the Athletes Village a week before the start of competition. There was no acclimatisation necessary and no long haul flight or jet lag to recover from, simple. The weeks before our arrival in Rio, however, were a little more complicated. The well documented prevalence of Zika virus in Brazil and concerns as to whether the athlete accommodation was going to be finished in time for our arrival made this period a little more challenging. 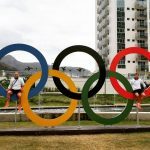 The necessity to acclimatise to the weather conditions and recover sufficiently from any negative effects of travel meant that we entered the Olympic Village a full 2 and half weeks before the start of competition. That’s a long time to wait for your first game. 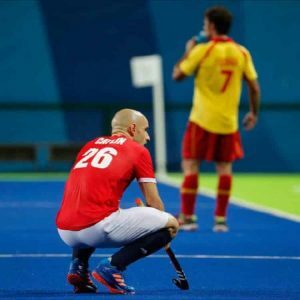 The fact that hockey is one of the few events at the Olympic Games to run throughout the entire period of competition meant that we were away from home for about a month. The immediate build up to any major international tournament is quite a strange period for a player. You are constantly trying to find the right balance between activity and rest. Spend too much time in the week prior to your first match laying in bed and you’re almost certainly going to feel lethargic when it comes to competing. Train too hard or spend too much time on your feet and you simply won’t be well rested enough to be at your best physically. Ultimately, you have to rely on the support staff around you doing their job effectively and finding that all important balance on your behalf. When the games come, they come thick and fast. In this particular competition, a run to the final would have meant playing 8 matches in 13 days (and footballers complain about the festive Premier League schedule!!). As a result, the time you spend off the field is focused solely on recovering for your next match. That means physiotherapy, active recovery, eating and drinking plenty and most important of all, sleep. Our Olympic dream ultimately ended much more prematurely than anyone had hoped. Being knocked out at the group stages having never really got going as a team was almost certainly the most disappointing moment in my international playing career and something I will never truly get over. The experience has acted as a constant reminder to me that you don’t always get just rewards for hard work. Having said that, not many people achieve anything worthwhile in life without first failing at least a few times. Coping with such huge disappointment in an area of your life which you have spent years trying to be successful in, is obviously difficult. I was lucky enough to embark on a travelling experience of a lifetime pretty soon after returning home from Rio. Something my fiancee and I had been planning for a long time. It was important to get away from a world that had been all consuming for the last 4 years of my life and reflect on the achievements as well as the failures of that period. I haven’t played a game of international hockey since. 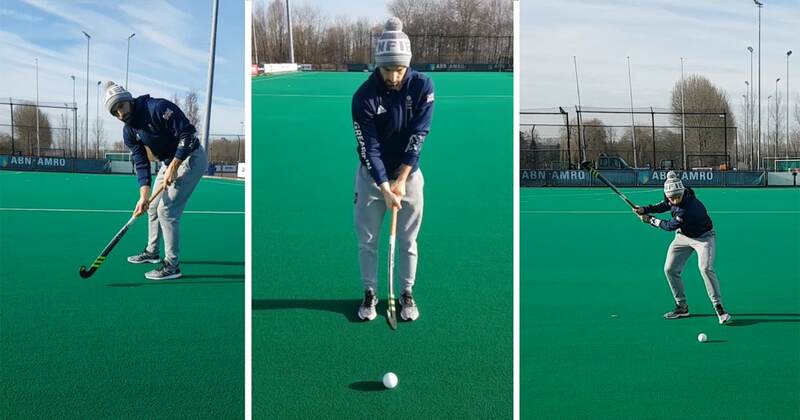 I’ve moved to the Netherlands where I play professionally for HC Rotterdam and spend time enjoying the passions in my life away from the pitch, which have been on the back burner for far too long.